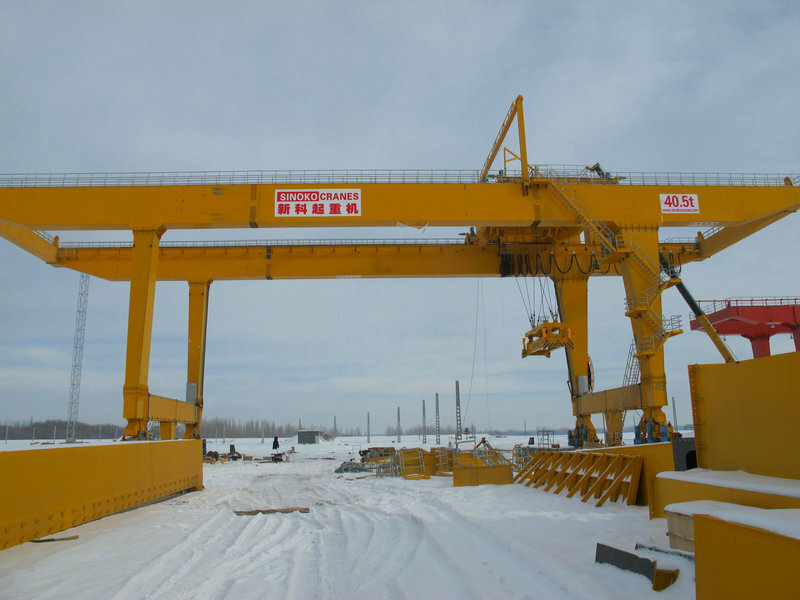 SINOKO Cranes offer both standard cranes and advanced services system, like designed as Europe DIN standard. 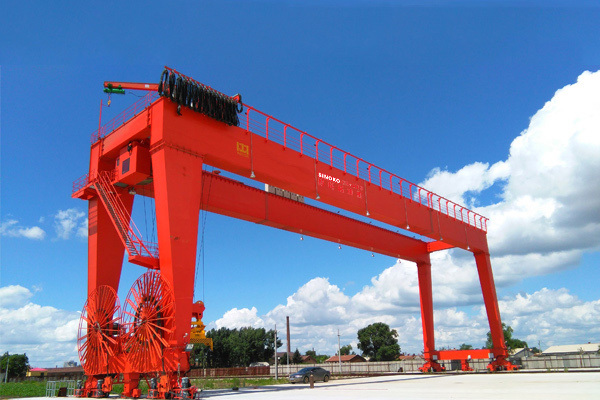 SINOKO cranes consist of a wide range of cranes including hoisting winch with lifting capacity up to 350 tons, open winch trolley hoists up to 350 tons as as well as cranes specifically designed for hazardous environments and anti-explosion condition. 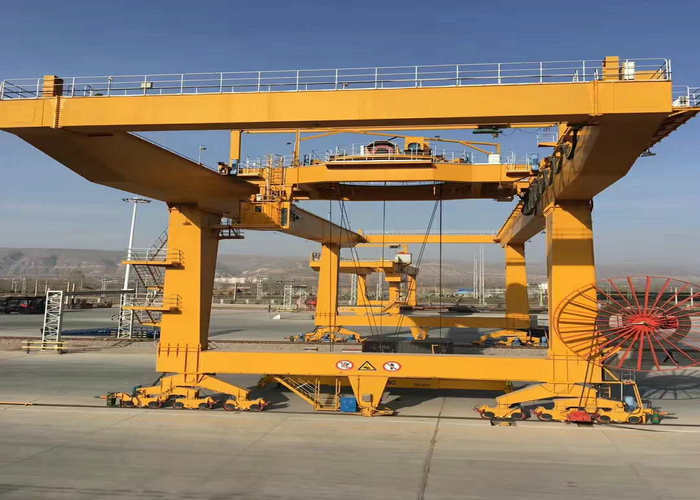 DIN Standard Motorized Gantry Cranes are suitable for loading and unloading portal cranes such as open storage, stockyards, railway freight stations, and port terminals. It can also be equipped with a variety of special hooks for a variety of special operations. 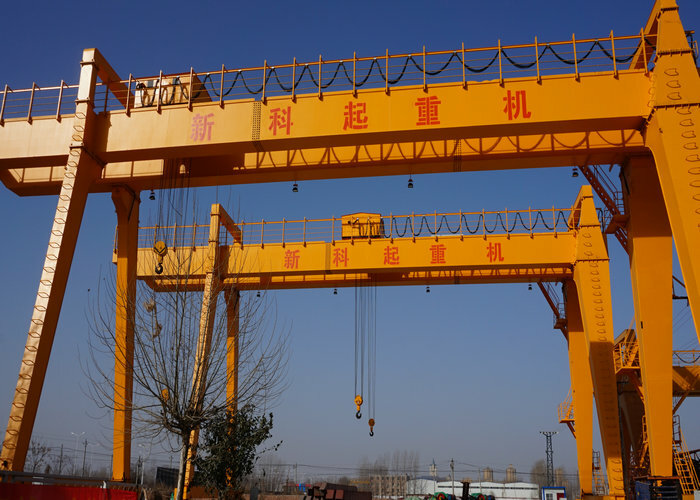 DIN Standard Motorized Gantry Crane are made up of bridges, carts, trolleys, and electrical equipment. 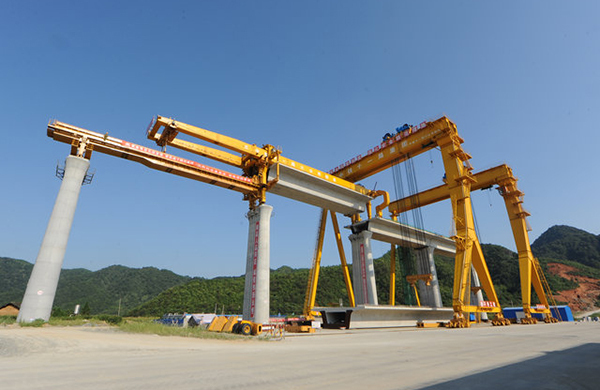 The bridge adopts the box type double beam welding structure. The cart driving mechanism adopts separate driving. All the mechanisms are operated in the control room, or the operation mode of the wireless remote controller is modified. 3.Lift, trolley, and cart are independently controlled and can be operated individually or simultaneously. 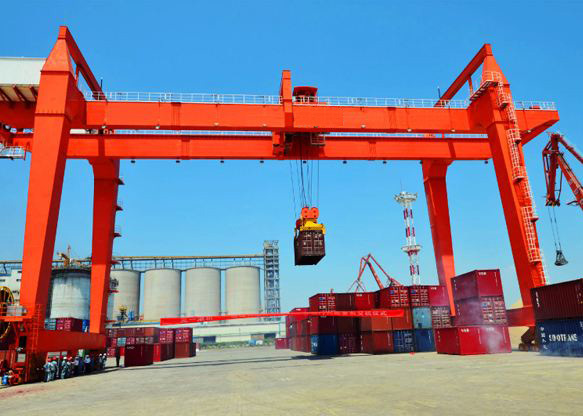 10.The trolley's mobile power supply system uses a crane-specific PVC flat cable, with a withstand voltage rating of 450/750V. 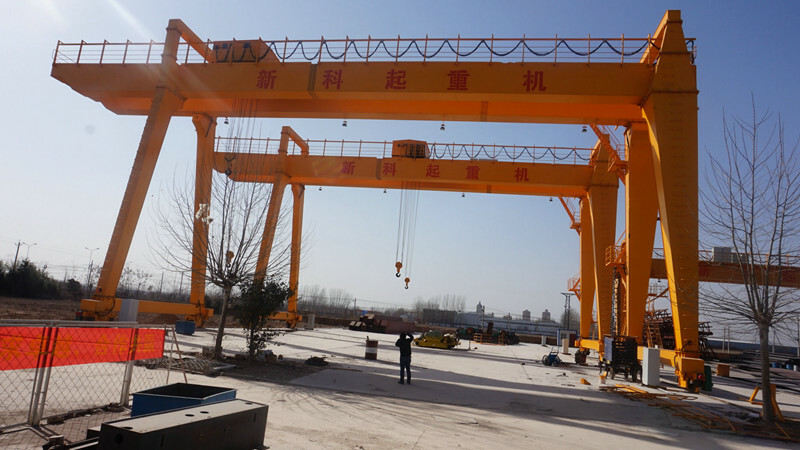 First, DIN Standard Motorized Gantry Cranes comply with the relevant provisions of the universal gantry cranes GB/T14406-1993 and GB5905-86. 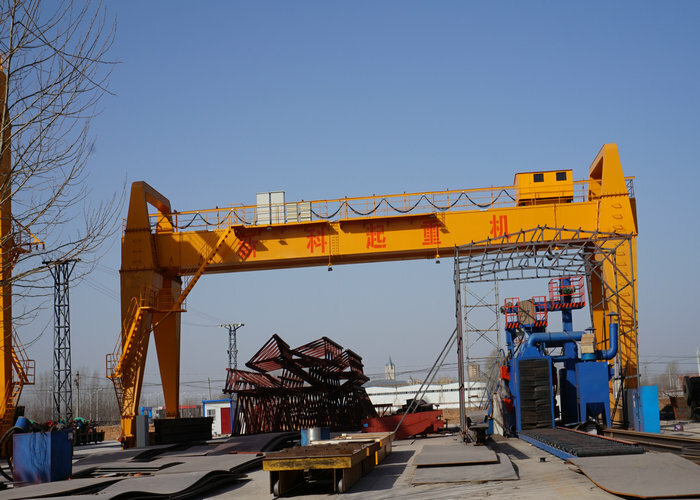 Under normal circumstances, the lifting weight is less than 50t and the span is within 35m. There is no special requirement for use, and a single girder type should be used. 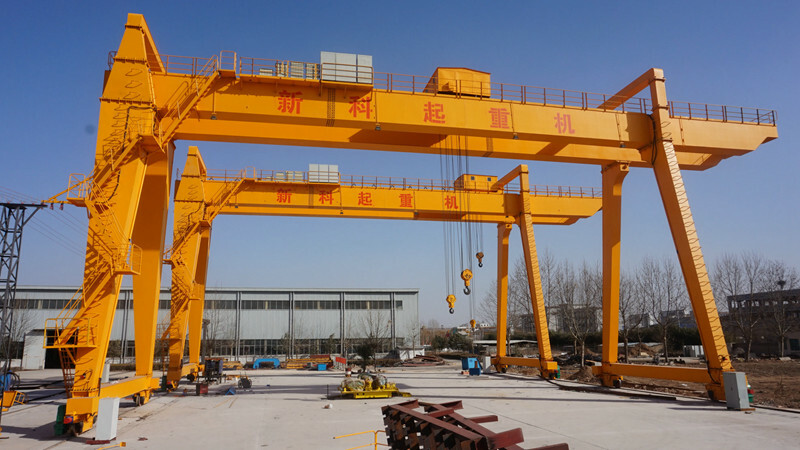 If it is required that the width of the door legs is large, the working speed is high, or heavy items or long and large pieces are often hoisted, double-girder gantry cranes should be selected. 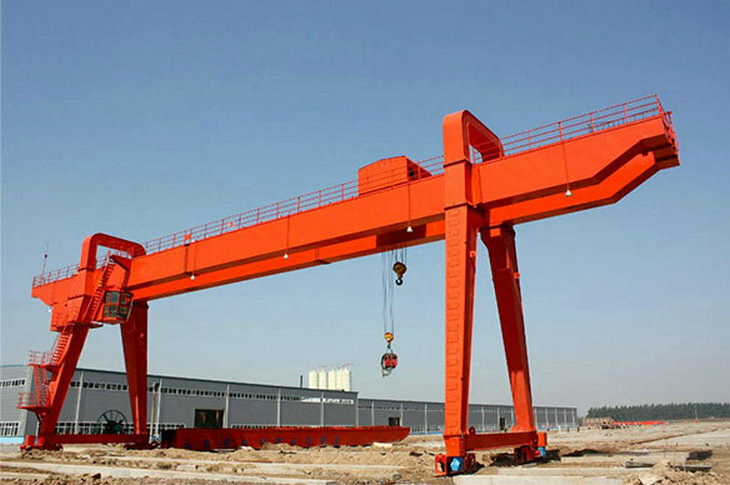 The span of a gantry crane is an important factor that affects the quality of the crane itself. In the selection, the span should be minimized on the premise of satisfying the conditions of equipment use and meeting the span series standards. c) Pay attention to make the distance between track B and span S in a certain proportion, generally take the track distance B = (1/4 - 1/6)S.
In the work, there should be a certain space size between the external dimensions of the gantry crane and the cargo of the yard and the passage of the transport vehicle to facilitate loading and unloading operations. When a typical transport vehicle is loaded or unloaded within a span, it should be kept at a distance of more than 0.7m from the door legs. When the spreader is not working, it should have a spacing of more than 0.5m from the transport vehicle, and when the goods pass the door legs, there should be a spacing of more than 0.5m.